Doug Marine Motors is pleased to introduce Dave Shiflett as the newest member of the sales team. Dave previously sold new and used vehicles at Harden Chevrolet/Chrysler in Circleville. Dave was with Harden’s for over 18 years, working there until they closed their doors. Dave is a lifelong resident of Greenfield where he currently lives with his wife, Stephanie. Dave and Stephanie have two children, Jessica and Brandon, and three grandchildren. Dave wishes to invite all his past customers to come see him for their automotive needs and looks forward to meeting and serving many new customers as well. 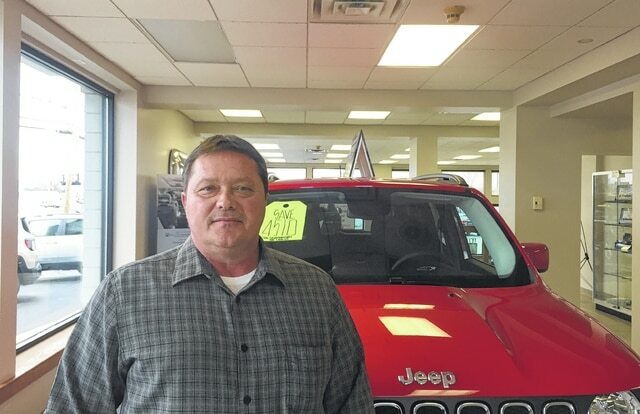 https://www.recordherald.com/wp-content/uploads/sites/27/2017/02/web1_DougNewsales.jpgDoug Marine Motors is pleased to introduce Dave Shiflett as the newest member of the sales team. Dave previously sold new and used vehicles at Harden Chevrolet/Chrysler in Circleville. Dave was with Harden’s for over 18 years, working there until they closed their doors. Dave is a lifelong resident of Greenfield where he currently lives with his wife, Stephanie. Dave and Stephanie have two children, Jessica and Brandon, and three grandchildren. Dave wishes to invite all his past customers to come see him for their automotive needs and looks forward to meeting and serving many new customers as well.